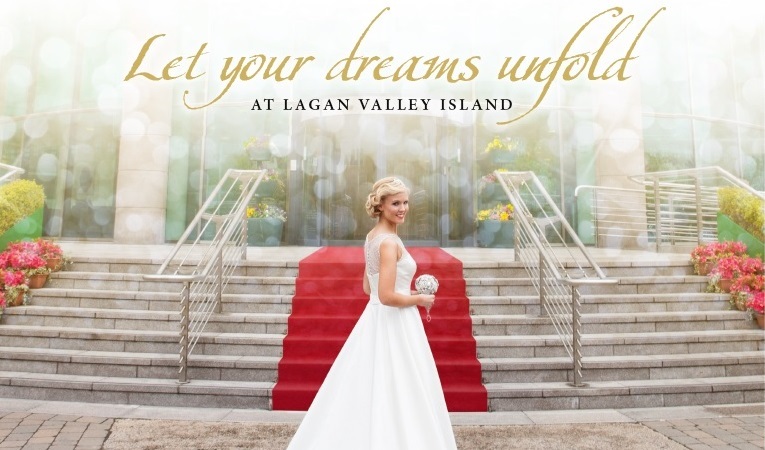 If you are looking for beautiful wedding venues in Northern Ireland, look no further than Lagan Valley Island in Lisburn. From the moment you arrive until the moment you wave your guests goodbye, our specialist team will attend to your every detail ensuring your wedding day is a magical occasion. Set within the heart of Lisburn City and on the banks of the River Lagan, choosing Lagan Valley Island as your wedding ceremony and wedding reception venue, offers you a truely romantic setting for your special day; with the River Lagan on one side and the lovingly restored canal locks on the other. Our complete wedding reception packages are available for up to 220 guests from just £29.00 per person. So for example 60 guests, this costs just £1750! For more information on this wonderful wedding venue in Northern Ireland, to arrange a tour or to book your wedding or civil ceremonies at Lagan Valley Island, contact us now.